Scott Beigel’s fiancee, Gwen Gossler, told mourners at his funeral on Sunday that they were watching news coverage of another school shooting when he made the comment. 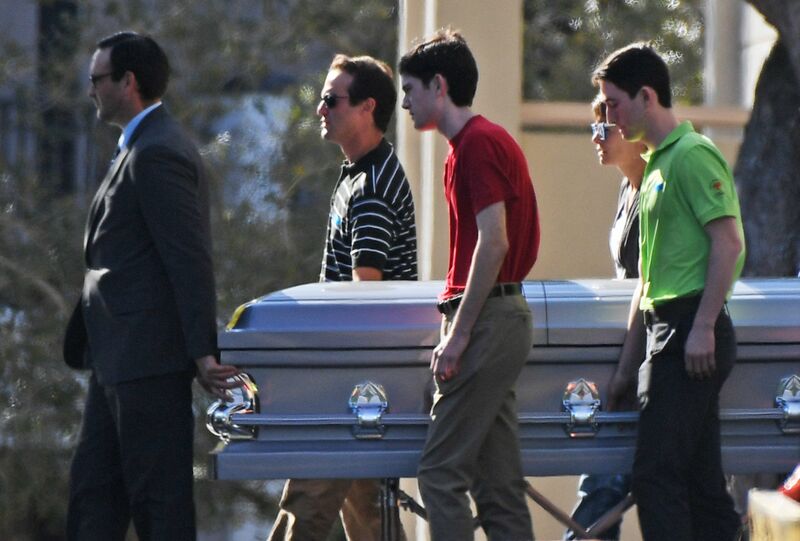 “Promise me if this ever happens to me, you will tell them the truth — tell them what a jerk I am, don’t talk about the hero stuff,” Gossler said Beigel teased, according to the New York Post’s account of the service at Temple Beth El in Boca Raton. Beigel, a 35-year-old geography teacher and cross-country coach, was one of 17 people killed in the Valentine’s Day shooting at Marjory Stoneman Douglas High School. Some students said they took refuge in Beigel’s classroom when he unlocked his door for them as the gunman stalked the halls. The killer shot Beigel in the doorway before he could lock the door again. Kelsey Friend, one of Beigel’s students, expressed her gratitude to his family on CNN. “Thank you for bringing and having this amazing person in life and giving him the power to be stronger than I could have ever been,” she said. Beigel’s father, Michael Schulman, also reflected on his son’s heroism during Sunday’s service, but noted it wasn’t just one moment. His mother, who said her son called her every day as he was leaving work, expressed her heartbreak as she read a letter she wrote to him. On Sunday, a funeral service was also held for 14-year-old student Jaime Guttenberg, whose father, Fred Guttenberg, remembered her for her love of dancing, her favorite color of orange, and her “unbelievable ability to never stop talking,” the Miami Herald reported. On Monday, two more funerals are scheduled, for 15-year-old Luke Hoyer and for 14-year-old Alaina Petty.